Older people often complain about sleeping poorly as a sign of aging. Turns out that sleep improves during an adult’s lifetime. A new study in the March edition of SLEEP analyzed 150,000 responses to questions about sleep issues. The adults with the least complaints about sleep disturbances and daytime tiredness were in their 80s. Sleep complaints in general declined over the years, with a slight uptick in middle age. Researchers said the results challenge conventional beliefs. They said physicians tend to ignore sleep complaints among older adults as a normal part of aging. Granted, there are contributing factors like illness and depression that affect slumber. 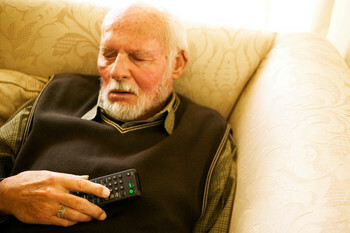 But those things aside, older folks should be feeling good about their sleep, the study said. If not, they need to talk to their doctor. Read more blog posts about sleep issues with older adults. Or learn more about sleep and growing older.